TRC #373: WHO Processed Meat Cancer Study + The Science of Gremlins + Do Bras Cause Cancer? BOO! This week, Darren looks closely into the reporting around the recent published study from WHO’s cancer agency (IARC) regarding links between cancer and the consumption of red and processed meat. 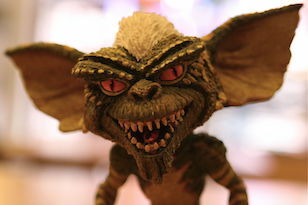 Adam applies logic to break down the science of Gremlins. Finally, Cristina takes on another controversial post on Gwyneth Paltrow’s lifestyle blog Goop suggesting wearing a bra causes cancer. Goop: Could There Possibly Be a Link Between Underwire Bras and Breast Cancer?? 4 Responses to TRC #373: WHO Processed Meat Cancer Study + The Science of Gremlins + Do Bras Cause Cancer? That first segment reminded me of this fun song by Joe Jackson (“Everything Gives You Cancer”). Awesome. Haven’t thought about that song in a long time. Another great episode. I am really enjoying aDam’s ridiculous stories followed by scientific explanations.